Charmaine and Victoria are confronted with demoralising and dangerous environments every day in their work as cleaners, and it’s rare to spend time with their kids. Stories from women on the front line of minimum wage employment. Minimum is a powerful documentary series combining animation with factual interviews. Each short piece shares stories from women of all ages, ethnicities and sexualities working in precarious, underappreciated and minimum wage jobs in Aotearoa. As New Zealand nears the 125th anniversary of women’s suffrage, the struggle for equality continues for so many women – Minimum gives them a voice. Presented with humour, power and honesty, Minimum highlights women’s experiences in minimum-wage or undervalued work, demonstrating their strength and resilience. Minimum asks the viewer: Is this okay? Funded by NZ On Air and produced for RNZ by Notable Pictures and with the support of Loading Docs. 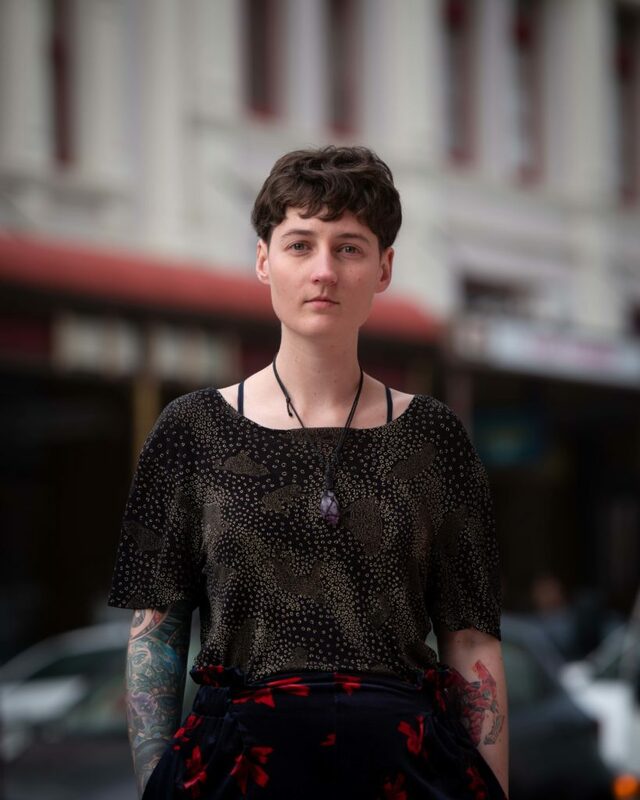 Kathleen Winter is an independent filmmaker based in Te Whanganui-a-Tara, Wellington. A feminist, activist and fan of independent media, she is inspired to make films that reflect real lives and uplift communities. Her short documentary work has focused on stories that challenge the status quo through humour and hope. Her Loading Doc He Kākano Ahau, focused on takatāpui / Māori LGBTQIA+ identity, has collected over 117,000 views to date. Minimum is a very personal passion-project that has been two-years in the making, and is released thanks to massive community support and collaborations with Notable Pictures, NZ On Air and RNZ. Kathleen is set to release the 30 minute documentary Datastream Instant Print later this year, which captures the history of a radical print shop that existed in Wellington for over 30 years. This is a very personal subject for me and a passion project that I have been driving for well over two years. Being a filmmaker often means needing a backup day-job to keep afloat. I’ve spent years in the service industry working hospitality and retail jobs with low pay, inconsistent hours and little respect from the people around me. It’s hard to explain how those environments can slowly chip away at your self-worth. In all of those workplaces, I was surrounded by women. When you’re working side-by-side you hear the most incredible stories. I’ve heard women of all ages and backgrounds tell stories of harassment and disrespect in the workplace. Those behaviours are unacknowledged, unchallenged and completely normal for many of us. At first I started to write them down, but quickly realised that the best way to capture and share those stories was on film. It’s been a huge responsibility to share these stories truthfully and safely. I’m honoured that so many women have gifted their stories to this series, and we have an incredible range of experiences to share. We’ve had story submissions from women from all parts of the country and over and over I heard the same heartbreaking themes. We’re working as hard as we can, we’re doing our best and we’re good at what we do — why are we treated as we’re worth less as people? Why can we still not make rent, buy school uniforms, or plan for the future? In 2018, why can’t we go to work knowing that we won’t be abused, disrespected, dismissed? Minimum will be a reflection of life for many women in Aotearoa. I hope it will light some sparks of solidarity, and remind women that we are not alone in our experiences. We know that the gap between the rich and poor in Aotearoa is widening, and it’s time to hear from the women who are bearing the brunt of that inequality at work every day.